Karess focuses her practice on the defense of civil cases in Connecticut courts, including hearings, depositions, discovery, and motions practice. 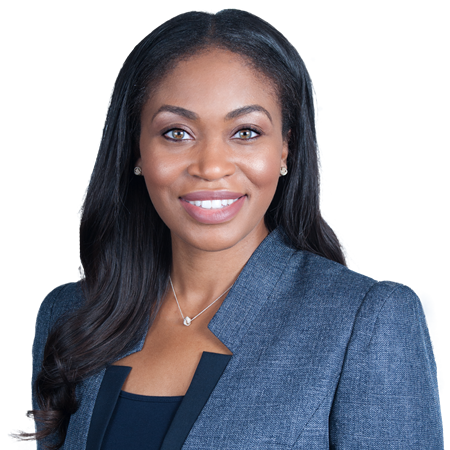 She also advises insurance carriers in connection with coverage matters and has extensive experience defending premises liability claims for clients in the sports, recreation, retail and restaurant industries. Prior to joining the Firm, Karess spent three years practicing as a staff attorney at a legal assistance program and clerked for the judges of Hartford Superior Court. In law school, she was an executive editor of the Connecticut Journal of International Law and served as an intern at the Connecticut Urban League Initiative, the Office of the Chief State’s Attorney, and the Department of Public Health. Karess resides in Meriden. Outside of the office, she enjoys reading, spinning, and traveling. Colon v. West Street Housing Corp. et al. Colon v. West Street Housing Corp. et al. : Summary judgment entered on behalf of West Street Housing Corporation. The plaintiff alleged that she was injured after she tripped and fell on an uneven sidewalk. West Street Housing Corporation claimed that it had no duty, as an abutting landowner, with respect to the condition of the public sidewalk because the condition was not caused by its positive acts. The court agreed with the defendant and summary judgment entered in its favor. McCarthy v. Planet Fitness: A health club member brought a product liability claim against the club after sustaining an injury while using a piece of equipment at the club. The product liability claim was challenged on the basis that the club was not a “product seller” under the Connecticut Product Liability Statute. In a case of first impression, the court ruled that a health club is not a “product seller” under the Connecticut Product Liability Act and granted the motion to strike the product liability claim. Algea v. Davison et al. Algea v. Davison et al. : The plaintiff in a motor vehicle case sought double/treble damages under Connecticut General Statute 14-295. The punitive damages claim was challenged by way of a motion to strike as there is a split of authority regarding the nature and specificity of the allegations that must be set forth in the complaint to sustain such a claim. The trial court was persuaded to adopt the minority view and granted the motion on the basis that the facts pled were insufficient to sustain the claim for statutory punitive damages.